The risk of flooding depends on the probability of a flood and the consequences of that flood. The probability of a flood depends on, for example, the probability of a storm with a certain magnitude and the possibility that by that storm the dike collapses or the probability that the storm surge barrier fails to close just at the time the water level is very high. “A storm as strong as the storm that raged yesterday happens only once every 50 years,”" said a newsreader for example. Fine, so we can wait quietly the next 49 years until the next storm comes? 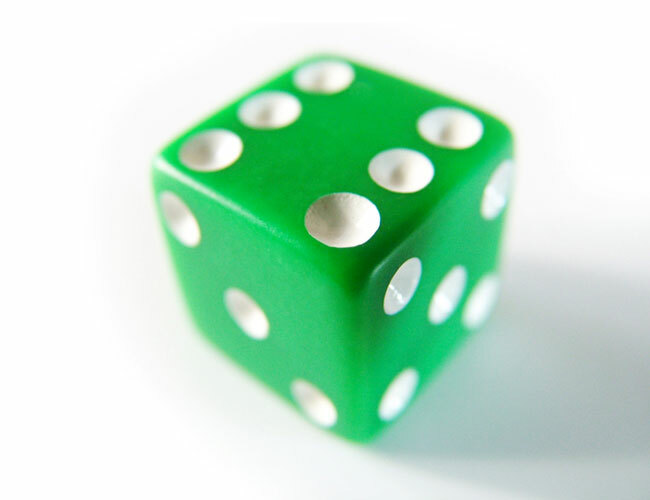 Roll a die and write down how often a certain number comes up. After 6 throws you will not have thrown every numbers once. After 30 times, you will not have thrown every number 5 times. But after 3,000 throws every number will have been thrown about 500 times. So it is with such a storm. If you are looking a period of thousands of years, then you will see that such a storm happens on average once every 50 year. However, it may well be that three years in succession this storm happens, than it doesn’t for 40 years, and the next time will be in 200 years, and so on. You know that high and low tide come every 12 hours. Storms are not that regular and predictable. The probability of storms is not the distribution of events in fixed return periods, but the probability of such an event happening in a year. That is why it is better to speak of a probability of 1 in 50 per year. That same probability exists every year, whether it happened the year before or not. Often a chain of events takes place, before flooding occurs. For example, a number of storms have damaged the dunes and then comes the next storm, exactly at a high tide, and that takes so much sand with it that the dune breaches. Than sea water can push in and a flood takes place. To calculate probabilities the mathematical field of probability and statistics is needed. Here you find an assignment with a (simplified) example of statistical calculations for extreme river water levels.